Not that anyone’s keeping official count, but Beach photographer Erwin Buck has likely photographed the Leuty Lifeguard Station thousands of times over the years. Indeed, through Buck’s lens, the stationary, historic landmark anchors its ever-changing setting, with each of his newly discovered angles revealing unexamined corners and character. In one photo, the station appears boastful, proud of its predominance on the beach. In the next, it’s bashful, gracious, allowing the elements – or the people to the side of the frame – to take over the view. 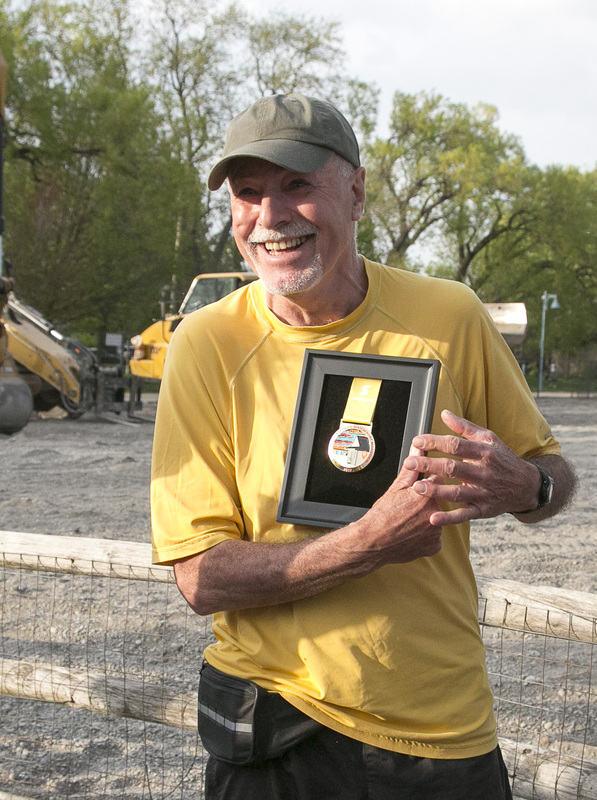 Now, Buck’s passion for photographing the station will be shared with the world, with one of his images immortalized in the design for this year’s Scotiabank Toronto Waterfront Marathon finisher medals. But he’s quick to defer credit for the medal’s design. The “Leuty”, designed by Canada Running Series’ Inge Johnson, is based on a photograph Buck took of the station last year. Johnson has known Buck for years, and she said she knew she wanted to work with him on this year’s design – the first time she’s worked with a photographer. 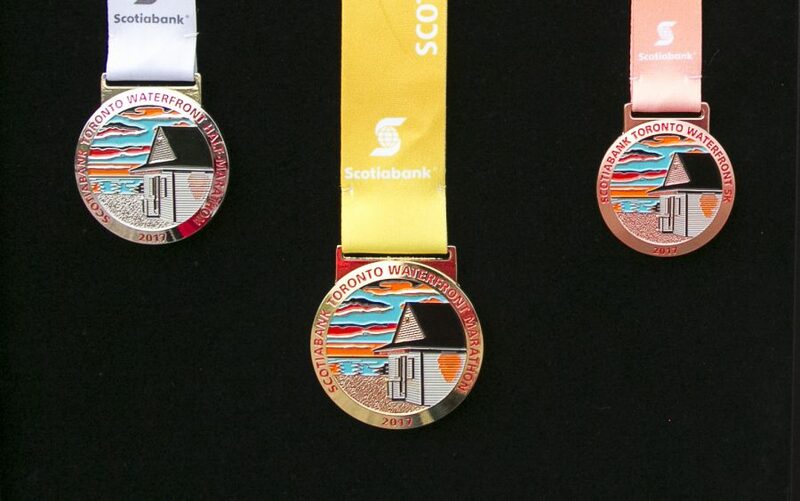 This year’s medals mark the 10th anniversary of the Landmark Collectors’ Series, medals all designed by Johnson and which feature other Toronto icons like Honest Ed’s, the Humber Bay Arch Bridge, the Flatiron Building, and another Beach landmark, Kew Gardens. The 2017 medals were revealed just before sunset on May 19, following a mystery reveal run along the waterfront which ended at the station. Nearly 120 people attended the fun run and unveiling, led by the RunTObeer crew and Canadian Olympians Reid Coolsaet and Lanni Marchant. Buck and the Beach Village BIA were given ceremonial medals to mark their efforts in making the medal happen, and Pegasus’ Paula Murphy was on hand as the representative for the race’s neighbourhood charity. This design was the “most challenging” one yet, said Johnson over the phone last week, noting her desire to capture the light of Buck’s photograph within the restrictions of working with enamel. This year is only the second year the collection has used colour – she had five at her disposal, adding depth and detail with intricate linework and varying finishes. The artist’s background as a sculptor helps her in the design work, she said, as does having an image like Buck’s to work with. For those closer to home who want this piece of history, there is still time to start training for the October 22 race. The 5 km is a great entry to the event, said Johnson. Now, those who finish the race – the 5 km, half-marathon, or marathon – will be able to have an icon of that spirit with them always.